Always dust with a damp cloth. This will eliminate scratching that occurs with dry dusting. Dust will scratch furniture if not removed quickly. 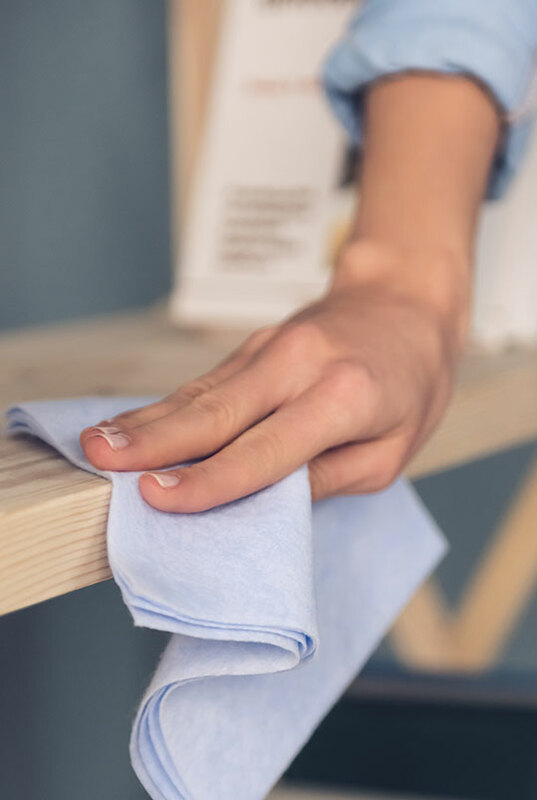 Use a soft clean cloth that won’t scratch the furniture. Avoid coarse materials or fabrics.